The SUPERBIRD! Epiphone Joe Bonamassa Firebird I “Treasure” First Review! The Epiphone Joe Bonamassa “Treasure” Firebird First Impressions Review! Buy one if you can find one! You’ll be GLAD you did! Update (9.8.2017): it looks like the new ones are all gone from the market now… You can look at other awesome Firebirds here at zZounds.com! I am a big “z-shape” guitar player. I love my Strats, Teles, LPs, SGs, and Vs, but my heart has a special BRIGHT AND LOUD place for Explorers and Firebirds! (Well, and offset Fenders, too, folks 🙂 ) It’s no surprise to those who know me that I’m constantly looking for a different sound, a different feel, a different tonal diversity. The first place I look is with Explorers and Firebirds. This past 7 years, Firebirds tend to not get sold after a while, unlike so many of my other much-loved-but-sacrificed-to-recording-pursuit guitars. In other words, when I get my hands on a great Firebird, I KEEP it for a long time. I still have quite a few very different Firebirds. If this review seems to be a great gush of wonder over this guitar, you’re reading it right. Only a few guitars or basses have made me this happy in the decades I’ve been making music. So, take a deep breath and read on. there’s SO much to say that I might have to write a second review down the road after I’ve had “Joe’s Treasure” for a good while. 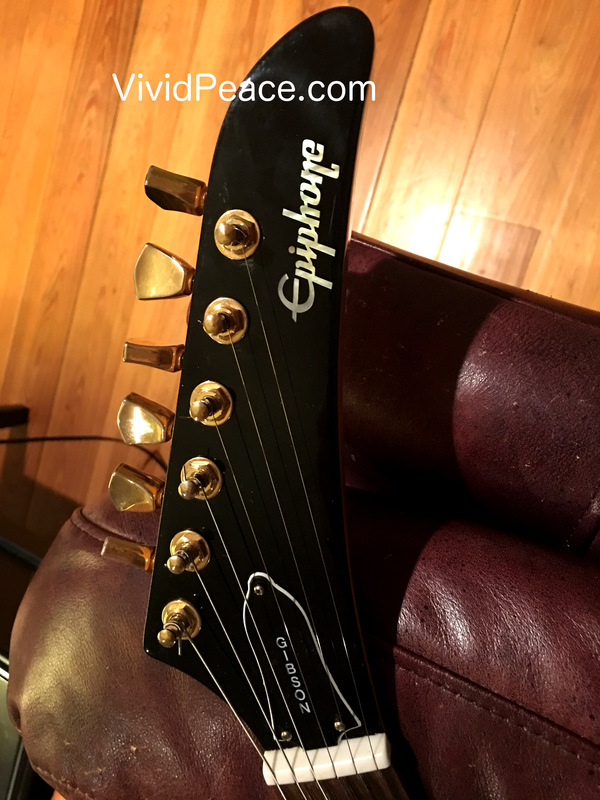 My Epiphone Joe Bonamassa Treasure Firebird I is a keeper. It is extremely well made, it is super sonorous, and is a real pleasure with which to play or record or jam. I’ve written a LOT of reviews. I have played and/or recorded with literally thousands of instruments over the past 4 1/2 decades (used to be a Band Director \m/ !) Once in a while I come across a guitar that makes me wish I could stand on a stage somewhere and show it to the world with great enthusiasm – even though I’m not currently an endorsed artist or an instrument-brand affiliate or dealer. I just get pumped when I find something awesome! As I said a bit before. If you want a simple and awesome Firebird I, you currently have to buy a vintage one or a multi-thousand-dollar Gibson Custom Shop Firebird I. I’d love one, but honestly it is pretty far out of my budget. Now? 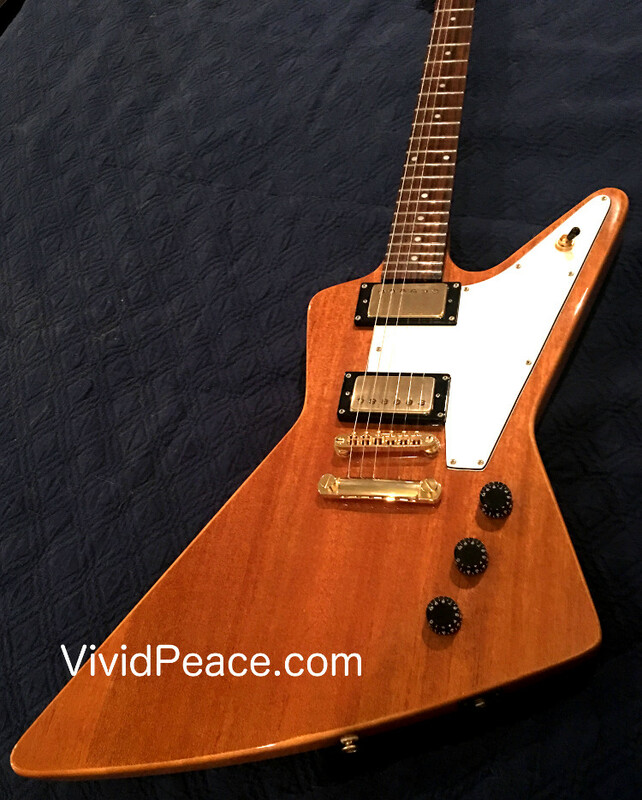 I’ve got a GREAT Firebird I guitar at a very small price! Here’s the quick-and-dirty feature list (with notes from me about my particular EJBTFI). 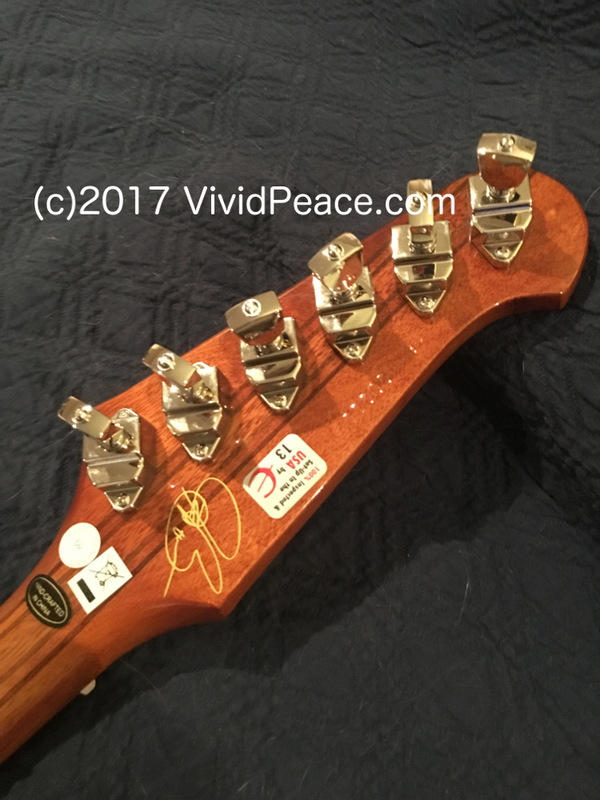 * Includes: Hand-Signed Certificate of Authenticity, Custom Deluxe Gig bag with JB artwork (I LOVE the Joe Bonamassa gig bag Firebird logo! I have the traditional brown sunburst finish on my Joe Bonamassa Treasure Firebird. As of this writing, all the major retailers are out of Treasure Firebirds… look at the other Firebirds currently available! So the features are awesome compared to many $799 (Street) guitars. That said, I see LOTS of $799 guitars that not only don’t have gig bags, but they don’t have NICE gig bags and hand-signed certificates in them! * I love the Kluson Banjo Tuners. These look like perfect reissues – and tune and feel JUST like my Gibson Firebird V’s tuners. These were a MAJOR selling point for me, as I like the way the feel, the way they look and the fact that they bring back awesome memories from my childhood when I got to play priceless Firebirds back in the 70s. * The Neck-through construction. SOUNDS fantastic! It has sustain for days and feels ALIVE in your hands compared to my older glued-in Epiphone Firebird necks or Gibson Firebird Studio necks. It just feels like a zillion (yes, folks, that’s $1,000,000+googleplex of zeroes!) bucks! Honestly. The neck is one of the MAIN features of this guitar. Looks and sound aside. * The quality is fabulous. 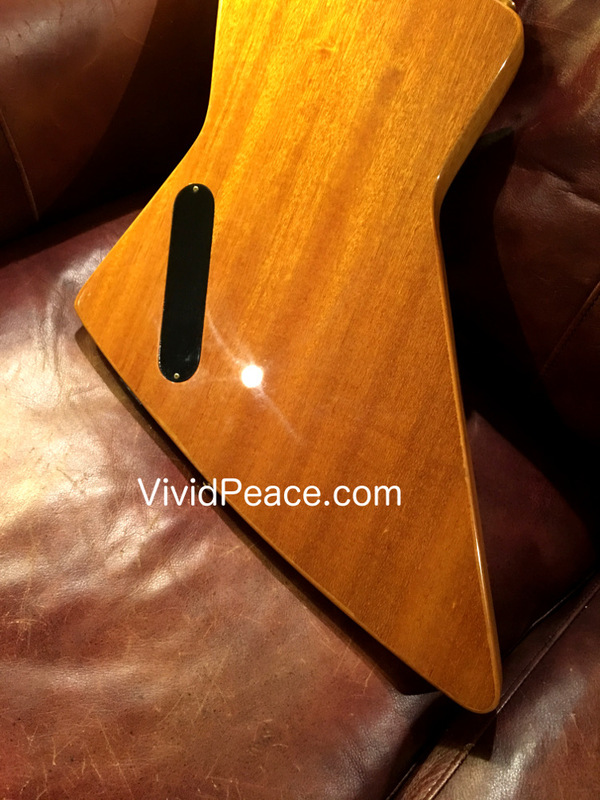 I like nitrocellulose lacquer better than poly paint: that said, this finish feels fabulous. It’s nice and smooth and looks like a perfect job was done at the factory. * The pickup is old-school wired. it has a braided two-conductor wire just like my old Gibson Firebirds. The wiring is super-simple, and there’s not a lot to get in the way of this very special FB720 pickup’s sound. * The gig bag is really nice: It’s a real plus and I’m keeping mine as long as I own this Firebird. * I’m impressed with the signed certificate. I can’t tell if it is signed with ink by the two folks on the card, but it looks quite real to me. 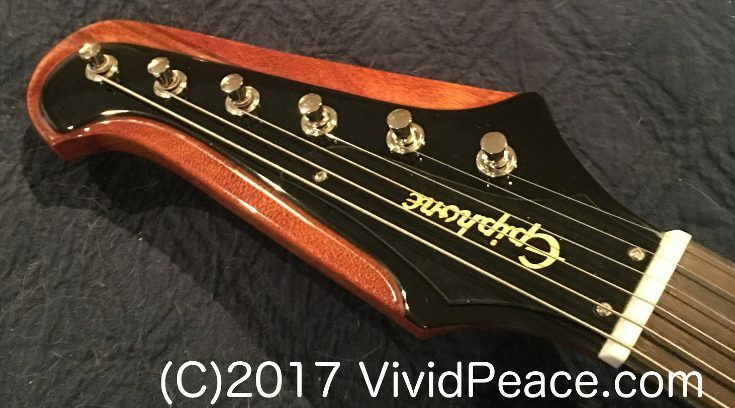 * One more feature that really tipped me over the edge: the headstock construction looks JUST LIKE my Gibson Firebird V.
If you buy your gear through this link, I get a small amount of funding to help me run and maintain this FREE to the public guitar review site! This is the easiest-to-play Epiphone Firebird I’ve ever owned (I’ve owned LOTS). The neck is a nice balance between a Firebird 60s neck and an Explorer 70s neck. Just enough round, just thick enough, just slippery enough to make me forget about the neck (a VERY good thing). The weight is bit lighter than my neck-through Gibson Firebirds, and is actually a little better balanced than my Firebird V, Firebird 7, and Firebird VII. With the BIG headstock and the Klusons, it does lean towards the neck a bit: with that said, it IS a Firebird! The way the pickup sits and the controls are located are just fine. I don’t end up picking on top of the pickup so much as I do with my Firebird VII and my Firebird 7. 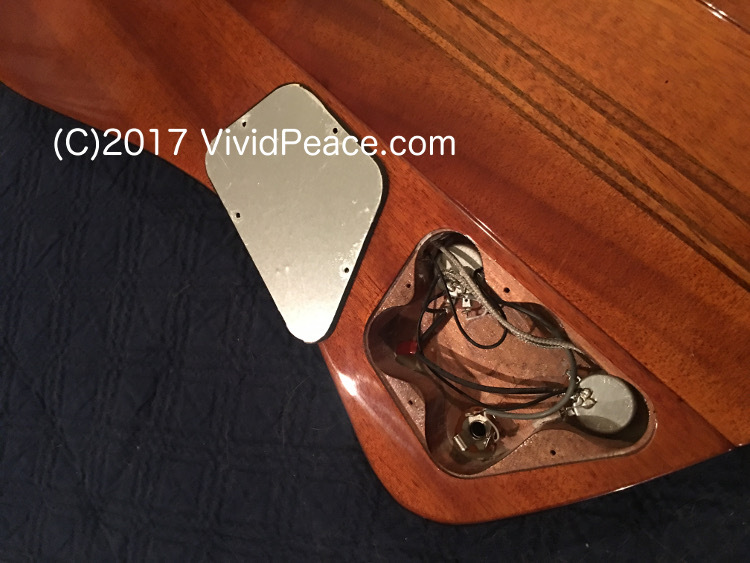 The volume control and tone are just where they are supposed to be, but require a big hand move to do a volume swell or adjustment. Bear in mind, though, that this is not different than old Firebird I guitars. So this isn’t a problem per-SE… I’m just indicating that it feels a bit far. However, since I’ve started using a Morley volume pedal, this isn’t much of a problem any more on my far-control guitars. The tummy-cut is awesome and feels just like it is supposed to. The body rests nicely on me whether I am standing with a strap or sitting without a strap. The rest of the guitar feels just like a Firebird. If you close your eyes, it would be largely hard to tell it is not one of my Gibsons. I love the fingerboard radius (14”) and the smooth and shiny genuine rosewood fingerboard. Overall, when I’m fretting or bending strings, the fingerboard feels non-existent (a good thing). Overall, I’d say that it’s EXTREMELY hard to put down and stop playing. Playability? Superb. One of the strong points of the Epiphone Joe Bonamassa Treasure Firebird I is its sound. It sounds SUPERB. If you’d like to get an idea what it sounds like before you buy one, listen to Joe play one here (opens a new window). You can read more factory specs on the Epiphone JB Treasure page, too. The single-pickup configuration, the simple controls and big potentiometers are awesome. 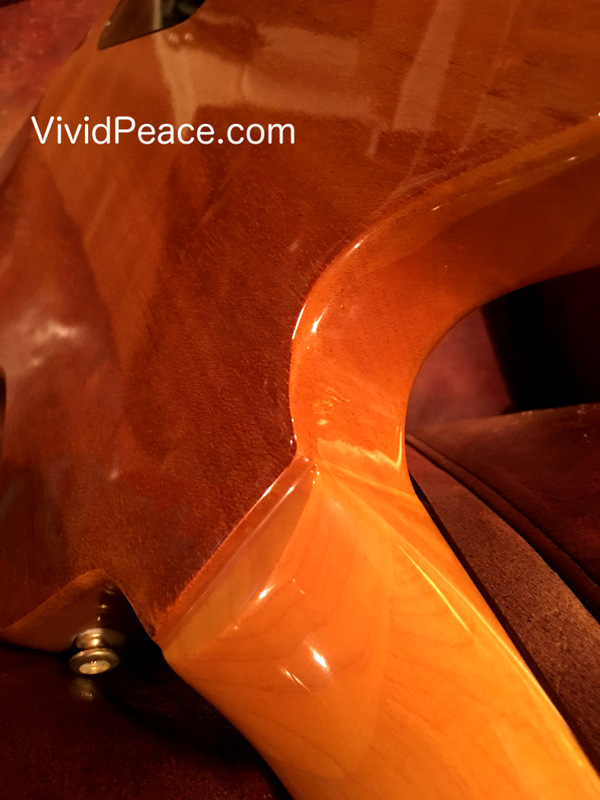 The neck-through sustain and body’s sympathetic vibe are superb. I can’t say enough about this new pickup. I LOVE it! And paired with the body and neck-through, the sound just makes you giddy through a Fender amp, a VOX, a Marshall or even a small solid-state beginner’s amp. I’ve owned a great many Epiphone guitars and basses over the years since Gibson bought Epi’s company and started making clones of the Gibson USA greats. When I first started recording, the only LPs, SGs, Explorers or Firebirds I could afford were used Epiphones. 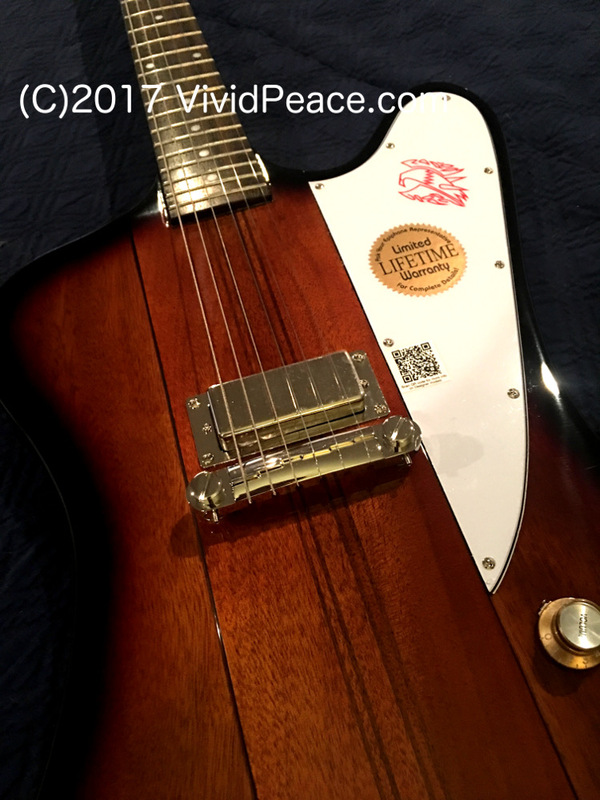 That said, of all the Epiphones I have ever owned or played, my sunburst Joe Bonamassa Treasure Firebird I is the best-built, best-finished, and best overall Epiphone I have EVER owned or played. Bar none. The paint finish is smooth and doesn’t have any smudges or spooges anywhere. The wood joints are perfect and the paint on the joints is nicely finished. The edge of the fingerboard is nicely clear-coated with the neck and the fingers don’t detect any line between the two. Like my non-bound Gibson Explorer fingerboards, the feel is completely smooth and easy. The soldering is quite well done, and there’s even a little slack in the capacitor’s wiring. If you want a professional to change the capacitor, it can be done very easily without actually damaging much of the potentiometer solder joints, if any. The jack is solid, and has a nice positive feel to it. The tuners and hardware are nicely applied and are quite straight. 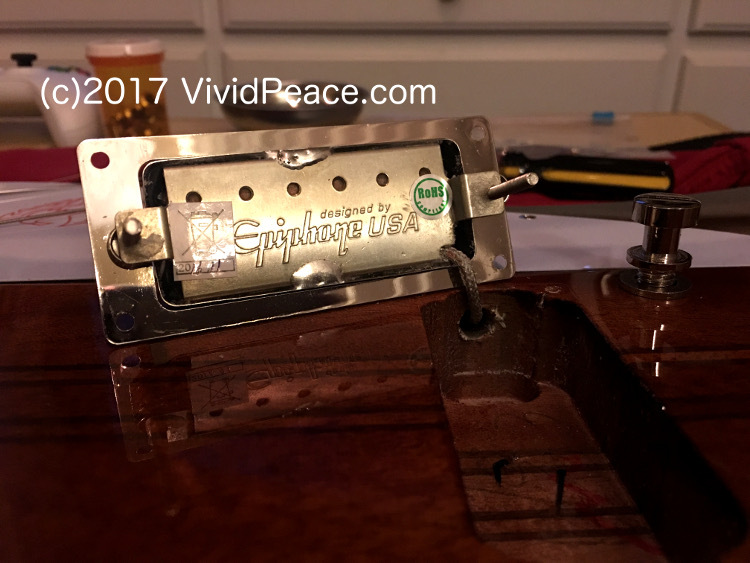 The bridge is not adjusted like I would want, and the guitar came from the factory with some mild intonation problems: but these problems were easily resolved with the included allen wrench and a nice Peterson strobe tuner (you can buy one on your phone or desktop, too!). I really haven’t found too many guitars that come from the factory already intonated. I don’t know why this is so common, but there it is. My Firebird I wasn’t an exception. That’s pretty much the only issue I had. The sunburst paint is remarkably nicely done. 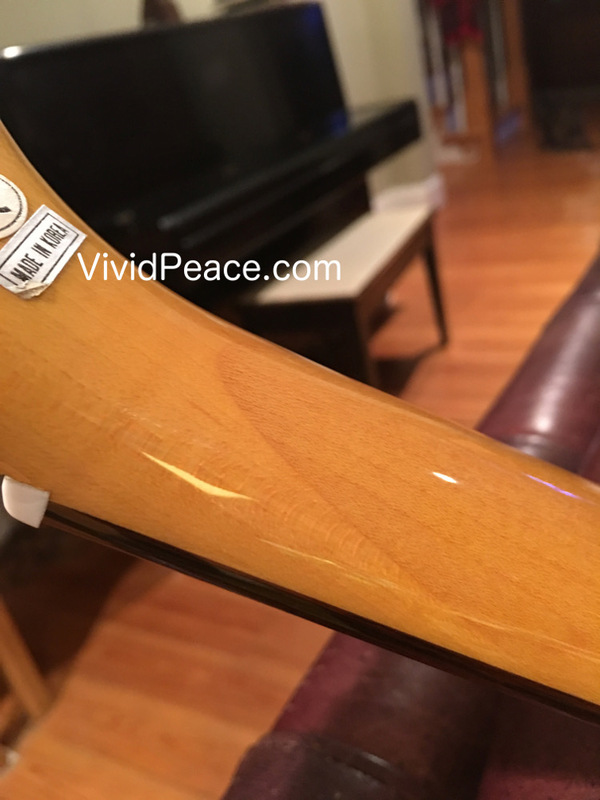 On many Asian guitars, sunbursts tend to have a very “spray can hard edge” look to them. In my case, my Firebird I is very nicely faded from black to clear. Nice! The 9-ply composition of the neck is extremely well done. The thicknesses of the woods is very consistent and very nicely paired. 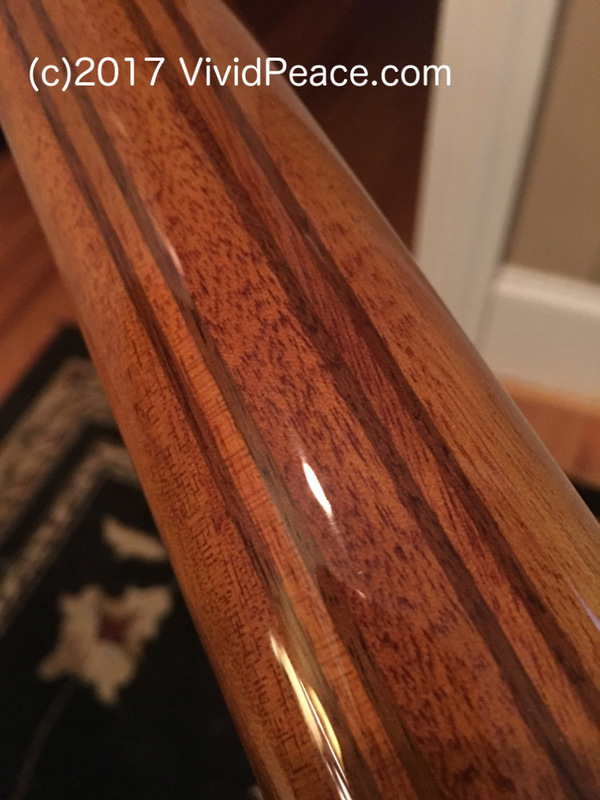 The look and grain of the mahogany is nice looking, if a little less dense than I’m used to on my Gibson USA guitars – but FAR better than most Asian-built mahogany guitars I’ve owned and/or played. Over all, Id say that the Quality is easily among the best Epiphone guitar I’ve ever had in my hands. Take a look at all the wonderful Firebirds available on zZounds.com! * Dear Epiphone, PLEASE make a Firebird V variant constructed JUST like this, but with four controls, a stop bar + TOM bridge, and two of these FB720 pickups. PLEASE! * For all the wonderful components in this great guitar, the cap is a little disappointing. Please consider an Orange Drop Sprague capacitor: the included film-based capacitor is OK, but ODs aren’t that much more in bulk… this would actually be a good selling feature. The Epiphone Dove Pro Acoustic Guitar Review! I love things with strings. Things with strings that make sound… Many times, I can be just as happy sitting with an acoustic guitar (or bass, or mandolin, or…) and play for hours on end. I compose, I wander, I contemplate, I just lose myself in the music. With electrics, I can hear what I’m playing (when not plugged in) and can enjoy the sheer ease with which the guitar comes to life beneath my fingers. I’m not particularly “for” or “against” anything – I love playing things with strings. Yesterday, it was a rubber band and a couple of pencils because I was too hot and tired (from yardwork) to play my instruments. But when you’re playing an acoustic instrument, the gratification is wholesome and wonderful. Wow. I just love the whole experience of playing an acoustic instrument – and when it’s a great instrument, the experience ceases to be about playing (guitar or whatever) and becomes about a flow of life between my heart/brain and the instruments and back to my ears. When I stop thinking about playing and start living the experience, I get lost in the music. What a joy. OK, with that little ramble, let’s take a look at a guitar that’s easy to experience that joy – and is easy on the wallet, too! I needed an acoustic to augment my library which gives me a brighter and louder experience – that’s easy to play and can tolerate odd tunings very well. 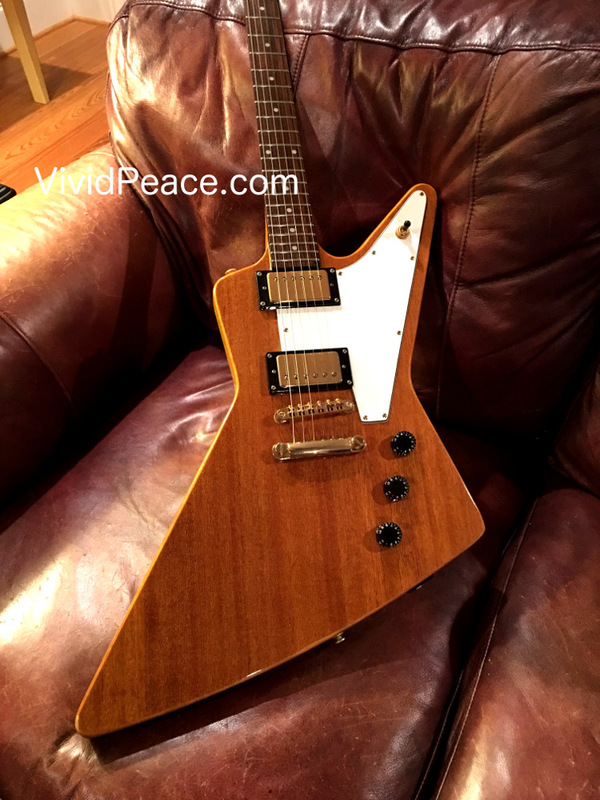 My budget was just wiped out by purchasing a nice Gibson Songwriter Deluxe Studio, so I wasn’t flush with cash… I did my research, did a little experimentation and in-store noodling, and settled on the Epiphone Dove Pro. I am so glad I did. Here’s why! The Epiphone Dove Pro acoustic guitar is a surprisingly inexpensive guitar that has a great deal to offer. The sound is great, the build quality is top-notch, and it plays like a guitar that costs hundreds more. I generally have my Epiphone Dove Pro out on a stand in the living room – and every guitar player that comes through plays it. All have remarked positively, even those who are die-hard fans of other brands and types. 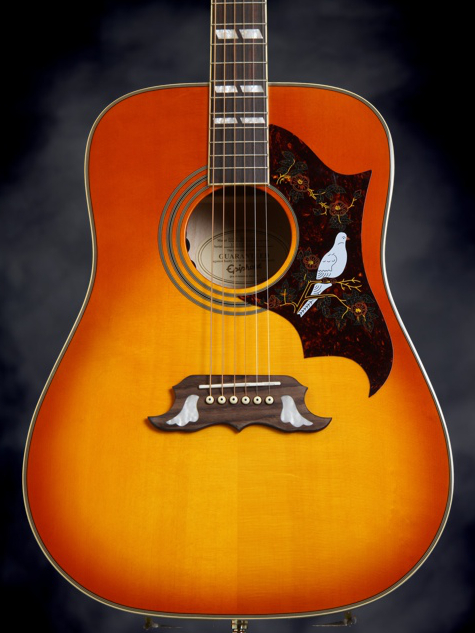 The Epiphone Dove Pro has a long list of features for a low-cost dreadnought acoustic guitar. From great tuners, to a solid wood top, to excellent binding and inlays – this is a great guitar. The Epiphone Dove pro is listed as Violin Burst – but in truth it is a beautiful orange-y burst with a transparent orange-y back and sides. 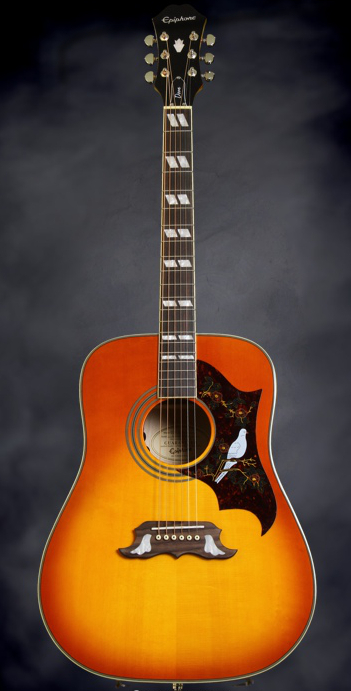 It’s a beautiful guitar that stands out from the everyday colors seen on most acoustics. I am an unabashed “orange” fan when it comes to transparent finishes on guitars – so it is right up my alley. 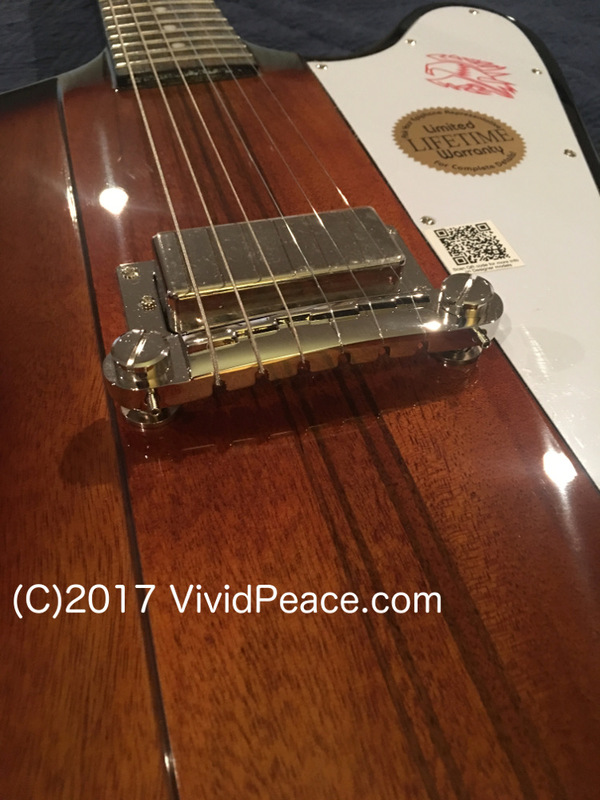 I love the dove inlays in the very striped bridge and the parallelograms in the fretboard match the look of my Gibson Songwriters to a T.
The Dove comes with a simple and easy pickup/preamp combination from Fishman. The soundhole’s easily-accessed master tone and volume controls work great and are easy to change while actively playing the guitar. Adjustment is like on an electric – you just turn the knob(s) until your ears like what you hear. Overall, the Epiphone Dove Pro is very feature-rich, very much on par with guitars that cost north of $700 (street value). This guitar is easy to play. The neck is a little on the narrow side, so it isn’t giant wide like some acoustics. It has a good “D” shape that helps you grip the neck nicely when doing difficult chords or fret reaches. When you’re holding acoustic strings down for a good while when you are playing, it is nice to get a good grip on the neck. For those with small hands, the neck isn’t too deep a D – it is a good balance for most hands. I’m a person with large hands and slender fingers, so the neck is mostly good with me. The width of the fretboard on my Gibsons is more comfortable – but my Dove feels somewhat similar to the necks on my Seagulls (Original 6 and 12). The fretboard is nicely finished, so it is easy when playing lots of fretting-hand movement. The string spread of the bridge is just about right, making it fairly comfortable for finger picking, hybrid picking, and flat-picking. Despite the miles of hard maple in this guitar, it is surprisingly comfortable and relatively light. My Ibanez Artcore guitars are substantially heavier, for comparison. The guitar is easy on the shoulder and easy on the knee – and feels like a good depth for lots of pick-arm and hand work. The full-size Grover Rotomatic chrome tuners are very smooth and work great. They’re easy to use and do a nice job. The nut (it seems like almost every guitar, these days) works great with a little lubrication such as Lizard Spit or Big Bends Nut Sauce. The Epiphone Dove Pro comes strung with phosphor-bronze .012-.053 D’Addario strings. The strings themselves sound fantastic and present themselves with a clean, edgy acoustic sound that is clear and not muddy at all. I’ve played 80/20 bronzes on maples before, and have found that the 80/20 bronzes tend to darken the sound such that the maple-ness of the sound is not as articulate as it tends to be. The phosphor-bronze strings sound just right. As a dread, the Dove is loud and clear. It does the low notes very tightly and the mid-tones nicely too… The highs tend to be a little tinny when playing in the middle third of the neck on the two plain (E and B) strings. I think this is partly a function of the finish and the glue/joint work. 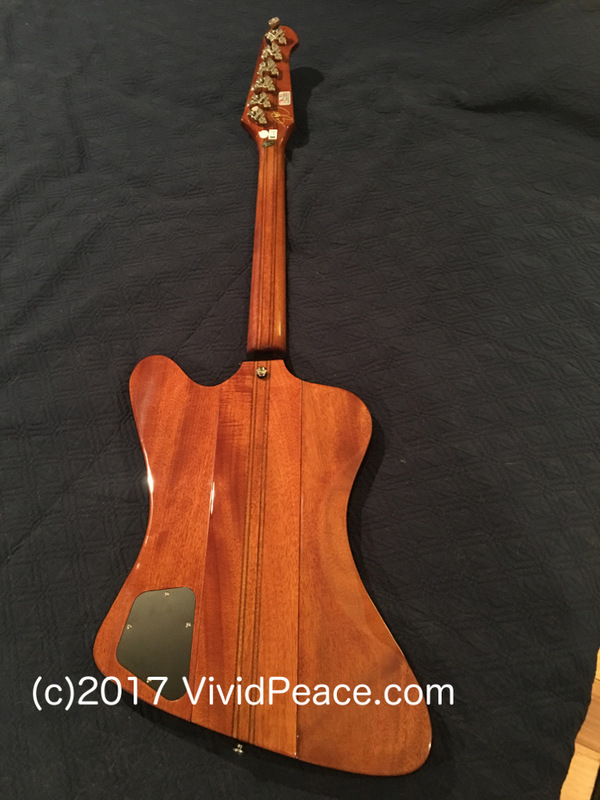 When recording, the first two strings played from 7 to 10 (frets) are often not warm enough – such that I’ll often play up the neck on the D string if I can… I don’t think this is a deal-breaker on this guitar: it’s not a $2700 hand-crafted instrument. The resonance and sustain are good to very good on the Dove. It sustains like an excellent glued-in neck – but with the highs rolling off fairly quickly on fretted notes. The open-string notes ring pretty well, particularly the 6th-4th strings. The strings on this guitar make a big difference. 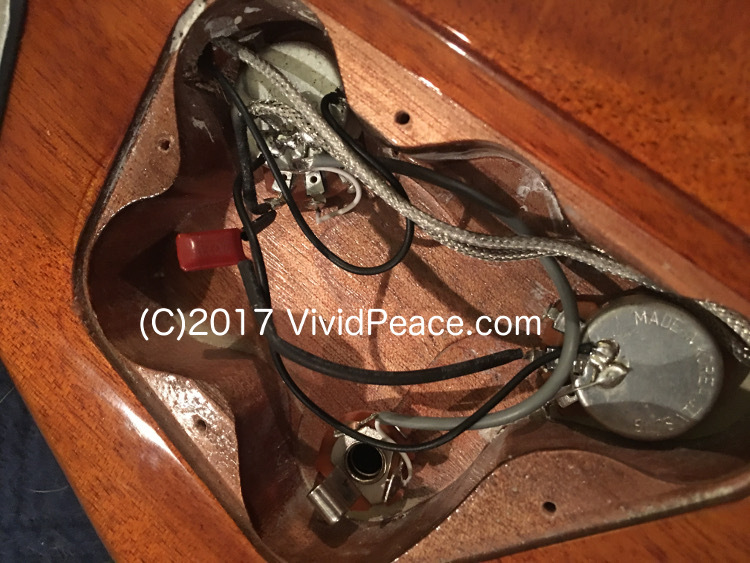 Dead, corroded strings muffle out this guitar fairly dramatically – when the strings get nasty, the Dove begins to sound like a laminate-topped guitar. I like the D’Addario EXP coated strings and the Ernie Ball coated acoustic strings on this guitar. The feel and sound of these particular strings is no sacrifice as compared to the truly long life you get out of the sound on average. Even those with sweaty or acid hands will see a good length of use from the two strings I’ve mentioned. Take a look here at zZounds.com. The fit and finish of my Dove is outstanding. I did not see a single finish burble, and everything fits and sits like it should. Since the Dove appears to be finished in poly, it has a hard and slick finish that puts up with lots of little dings without showing them. The finish doesn’t sound like the resonant quality of a hand-applied lacquer finish – but it doesn’t seem to dampen things too much. The body and neck finish are extremely consistent and smooth. 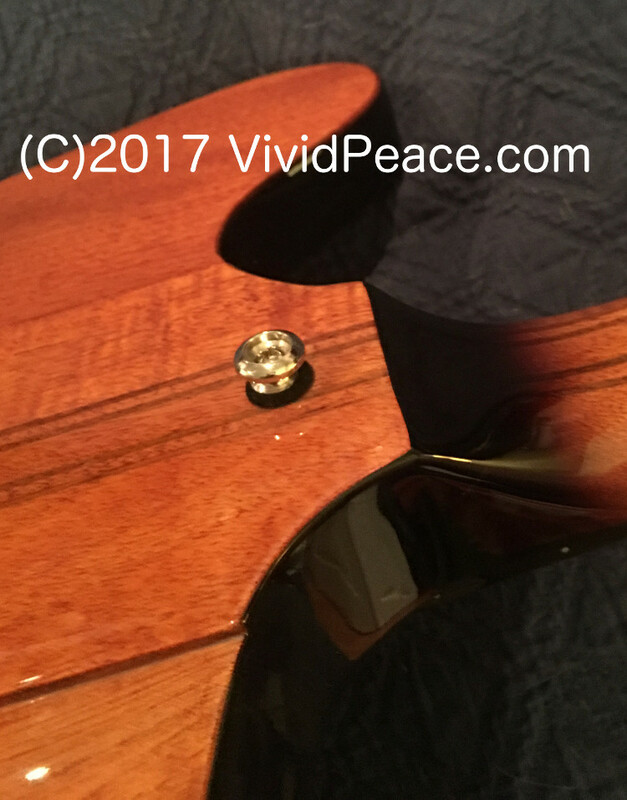 The headstock and neck inlays are actually nicely done: many Asian-made acoustics I’ve handled have lots of dark filler around the inlays. 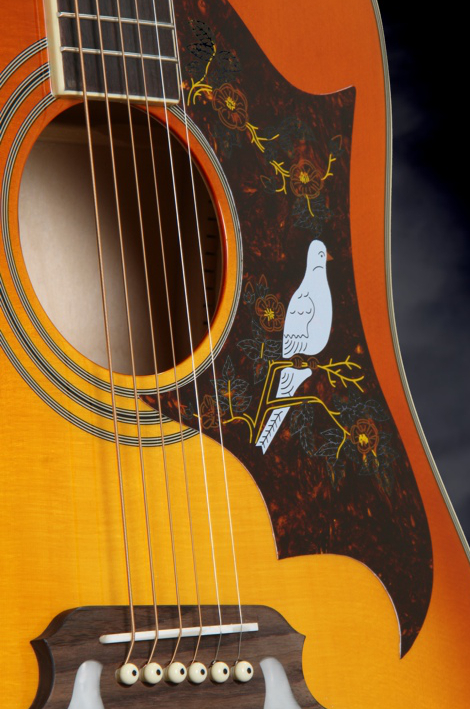 The Dove’s inlays are very accurate in most cases, with only a few very minor filled splinters or routing blems. The fret ends were nicely dressed out of the box. The overall feel as you traverse the neck is simple and good, with no real issues to be found. I didn’t find any substantial fret leveling issues (if any at all, really). There aren’t any buzzes that appear at unexpected spots. The guitar even plays nicely with .013 strings tuned to a low tuning like CGCGCC. It does play crisply and nicely with standard .012 gauge strings and “standard” EADGBE tuning. The electronics are attached to the inside of the body nicely and are fairly well dressed. The wires don’t dangle too much and don’t clunk around in the body. The Fishman controls are solidly mounted and work smoothly and easily. The end-pin 1/4” jack works great and attaches positively to the cable. Wishes and Wants I do wish the battery was in a standard battery box attached to the sides somewhere instead of deep in the sound hole. I wonder how hard it would be for Epiphone “Pro” guitars to have that killer fret-end binding one gets on better Gibson electric guitars and basses? One other thing: Couldn’t we have 18:1 Grovers on our Gibsons and Epiphones? I really like the larger-ratio feel when tuning. Epiphone Thunderbird IV Reverse Bass Guitar Review – The Thunder continues! I first wrote this review on February 14, 2007… I have had one or two since then and now play the neck-through “Pro” version. Someday maybe there will be a budget for a Gibson ? I’m lucky enough to have a couple of basses at my disposal for recording or playing. I enjoy my Jazz Standard and fretless – they’re flexible and timeless. I had to open my search to four-string basses – which brought several great instruments into my price range. One of my long-time favorites has been the Thunderbird. The Gibson 4- and 5-string Thunderbirds are fabulous neck-through instruments. However, most musicians I know are on budgets, and/or need to have more than one bass at their disposal. The Epiphone Thunderbird IV Reverse offers a fantastic balance among cost, function, and sound. Free Shipping and more information on the Epiphone Thunderbird IV here at zZounds.com. I’m not only a customer of theirs, I’m a fan! Quick Opinion: The Epiphone Thunderbird IV Reverse bass guitar is cool-looking, medium-weight, low-cost, and sounds fantastic. A bass player gets a ton of guitar for her/his money with the Thunderbird. Interestingly enough, you don’t see Thunderbirds flying around on the stages of music acts very often. 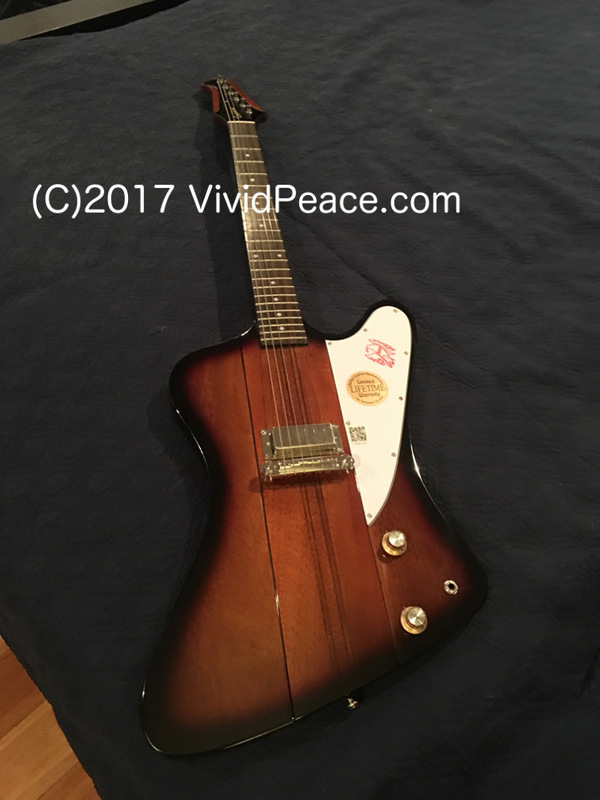 Part of the allure of the Thunderbird is its “different-ness.” Each and every time someone (even non-musicians) sees my Thunderbird, they remark that they really like its looks. When they hear the bass, they are struck by its flexibility and depth of sound. Part of the mystique is furthered by the fact that you don’t often see Thunderbirds in local guitar stores. The few that arrive in stock generally sell quickly enough that the floor is clear of them during most of the year. Snag a Thunderbird. You’ll be glad you did. If you can afford the Gibson issues, get your paws on one. If your budget is tighter, you won’t be doing yourself a disservice with the Epiphone. Playability: The Epiphone Firebird IV Reverse plays like the Les Paul of basses. 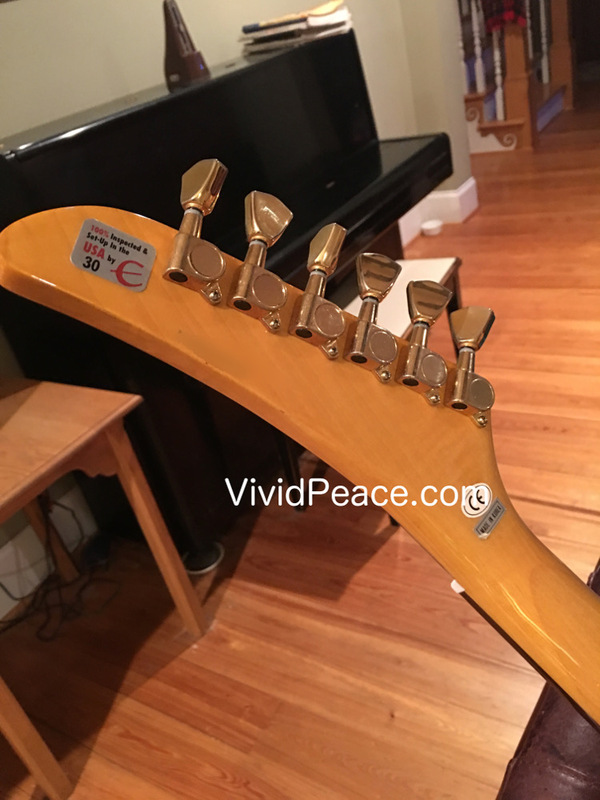 The neck is wide enough to be comfortable in string-width, but is slim and tapered enough to make it easy to navigate the full range of the neck. The slick finish of the neck and the neck’s shape make playing up and down the neck a breeze. 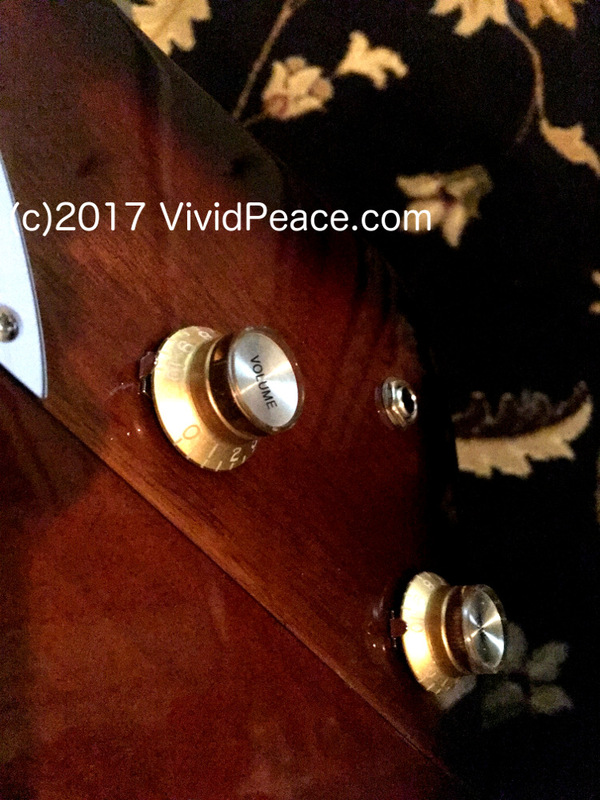 I tend to treat my bass parts as a melodic element, so I spend time on nearly all the regions of the neck – my Thunderbird’s neck really makes my bass playing more enjoyable. The neck isn’t as narrow as my Jazz, but is very similar to my Fender Precision bass… I guess it feels something a little wider when you’re playing it for hours on end. I like my Jazz and the narrow nut, but sometimes you just need to get your paws on a big hunk of wood and play BASS! The frets are nicely done, although they weren’t polished and tipped like a Gibson. The overall effort needed to press a note to the frets is a great balance between buzz-elimination and strength required. It’s easier to get a clean note from this guitar’s neck than with many other basses. The body weight is just right. 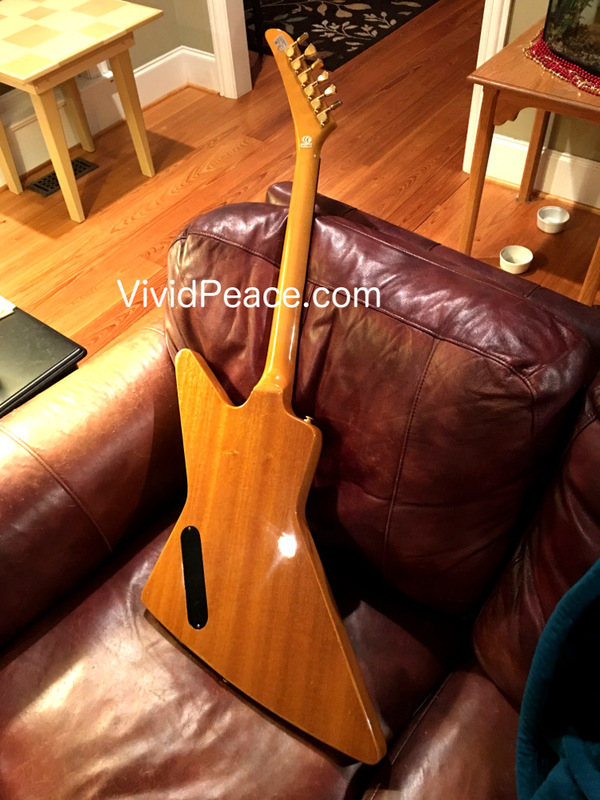 It isn’t too light (it has miles of sustain in sound as a result of the body mass), but isn’t so heavy that it makes your shoulder sore after only a half-hour of jamming. I find that my Thunderbird is as comfortable as my Standard Jazz from a weight point of view. It lacks the body contours of the Fender basses, so it’s a bit hard-edged (like most Gibson electric guitar and bass products). Features: The Epiphone Thunderbird IV Reverse bass is standard with what you would expect with most basses. It has decent sound control and tuners. The Thunderbird has a fabulous neck and excellent pickups. It has a volume knob for each pickup and a single tone to control the sound of both pickups. The knob closest to the neck controls the volume of the mid pickup. 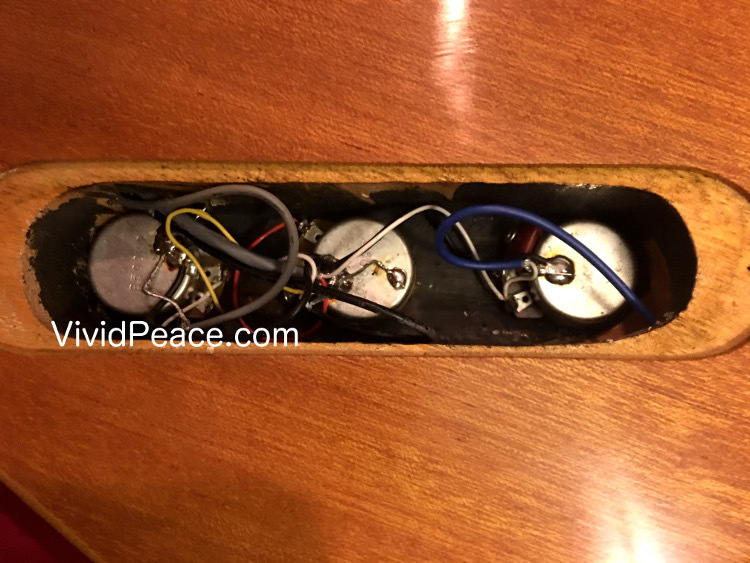 The knob in the middle controls the volume of the bridge pickup, and the knob closest to the instrument’s tail controls the tone-shaping pot (potentiometer). 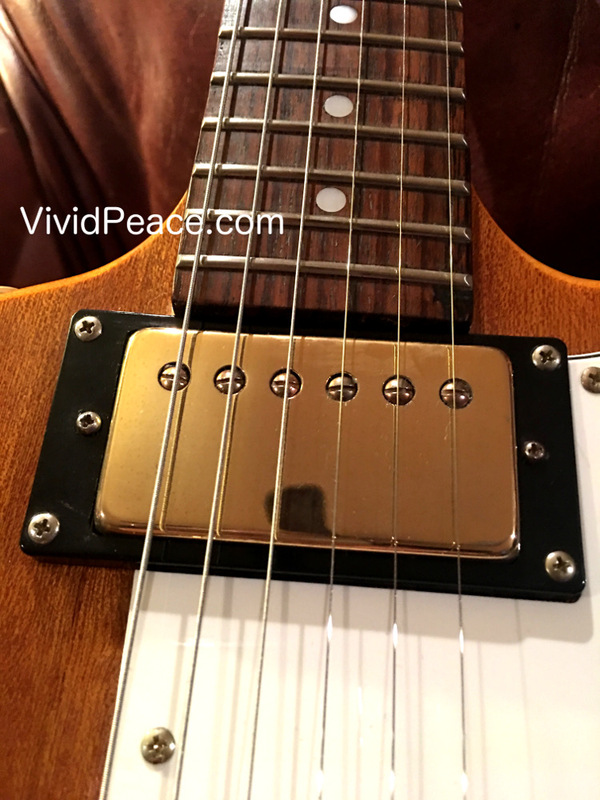 If you want warmer and rounder sound, turn up middle pickup’s volume and the bridge’s volume down. To make a more growly, biting sound, do the opposite. To get the big wide sound at full throttle, turn both the volume knobs all the way up. For a time, the guitar sales sites indicated that the Thunderbird IV comes with EMG humbucking bass pickups – I do not know if this has ever been true. The pickups work like EMGs, but sound a lot like Asian-made Gibson TB ceramic pickups. The pickups are one of the key reasons I settled on a Thunderbird. These pickups are no slouch, and are phenomenal as a feature for a bass in this price range. The tuners and neck are extremely well-done and function superbly. The tuners are stabile throughout a gig or recording session. The bridge mechanism is very versatile and has an overall height adjustment that doesn’t require tinkering with the saddles – I really like this bridge. Quality: The finish is bar-none just about perfect. It looks great, the finish feels great, and there are no bugs or flaws anywhere. The pickup and wiring system are well above-par for Epiphones in this price range. Generally, I have to tinker with electric bits on my Epis to get what I want. With this Thunderbird, it was great – right out of the box. The set-up of the neck and the bridge adjustments were just right when I got my bass home. I didn’t have to tune or intonate the bass at all. Overall, this is one of the highest quality electric basses I’ve ever played in any price range. Sound: The Thunderbird has earned its name. It sounds wonderful. 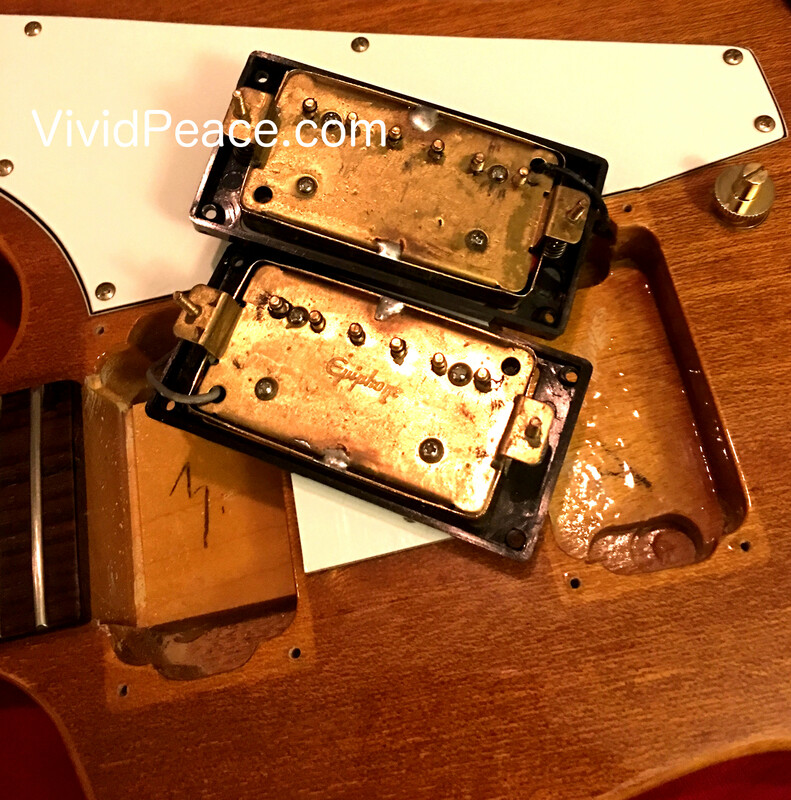 What humbuckers do for the Les Paul or SG sound, the EMG humbuckers do for this Thunderbird. This bass sings, crunches, growls, and thunders. With many basses, the sound comes through in a way that “reds-out” the VU meters/recording meters when you crank them up enough to punch through the sound of the band. This is a fairly common problem. I often play my basses through a nice tube preamp (before pedals, amp, and/or recording interface). I get lots of nice sound this way – especially more punch. However, I need the preamp much less with the Thunderbird. It has respectable output power, and is harmonically more rich than it’s near-the-same-price competitors. In particular, you can dial in a sound that works very well with acoustic guitar sounds – with the mid pickup and a little tone-down. But, the same instrument can be dialed up to rock hard with even the most demanding of musical varieties. I prefer my fretless Jazz for the ultra-mellow sounds – but the Thunderbird can be really smooth and inviting as well if lightly plucked and not overblown with the preamp section on the amplifier. You can punch, crunch, and growl with this bass. It also lends itself very well to effects such as reverb, chorus, flange, and even compression or gain distortion. The breadth of its harmonics makes it very flexible and versatile. Value:This is an extremely excellent value bass. It is worth more than its street price, probably in the $400 to $425 range in actual value. You get a lot for your money. The Thunderbird has been offered in some neat colors, too (alas, no white this time around!). You have been able to purchase blue, traditional brown sunburst, gloss black, and a metallic red. I chose to purchase the sunburst – it was too wonderful to put down. You get lots of sound and great electronics in this bass. I’ve not seen this level of sonic capability in any bass under $550. Only the bolt-on neck aspect separates the Thunderbird from the more costly instruments. Wishes: I really can’t complain about anything with this bass at this price… really. If I were to offer a custom model, I’d want a few things different – even if it meant going back to the previous street price ($399).